Protect your stylish and contemporary garden furniture against the corrosive effects of bird droppings, extreme weather conditions and the general dust and grime that can get into the weave of the furniture when left uncovered. We have a wide range of covers for your garden furniture whether it be the whole set or a singular chair or maybe a modular unit. Whatever the occasion, you can transform your weathered garden furniture, to create a beautiful setting for alfresco dining come rain or shine. 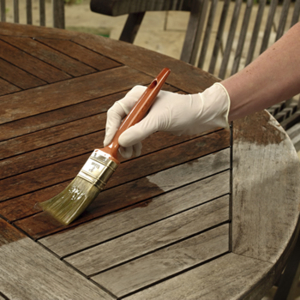 Untreated furniture will soon show the damaging effects of the weather Garden Furniture Restorer helps bring graying wood back to life quickly and easily. 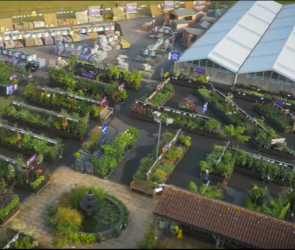 If you want to add colour to your garden we would recommend using Cuprinol Garden Shades. This gives a beautiful, long lasting colour and protection to all garden wood. We have a selection of paints and products located in our main shop department during the spring and summer months. Metal Garden Furniture is designed to withstand all conditions, and therefore keeping your furniture looking fantastic.